With the recent updates to key standards and revisions to Office of Management and Budget (OMB) Circular No. A-123 (A-123) Management's Responsibility for Enterprise Risk Management (ERM) and Internal Control, released on July 15, 2016 with OMB Memorandum M-16-17, M-18-16 (Appendix A, Management of Reporting and Data Integrity Risk) that was issued June 6, 2018 and M-18-20 (Appendix C, Requirements for Payment Integrity Improvement), that was issued on June 26, 2018, this will be an advanced level risk management workshop focusing on what agencies and Departments have done the last year in relation to the requirements that defines management's responsibility for internal control with an emphasis on integrating Enterprise Risk Management (ERM) and what they plan to do going forward to comply with the Appendix A and Appendix C updates. There will be a focus on best practices and what other agencies and Departments can to do move their risk management efforts forward. In addition to the A-123 updates, we will discuss the recent updates to the Yellow Book, the Preeminent Standards for Government Auditing, released on July 17, 2018 and what that means for non-auditors. This workshop is designed for the front-line practitioner, manager, or executive who is responsible for sustaining an effective internal controls and risk management program and who is charged in implementing the updated requirements of OMB A-123, including the two Appendices. • Risk Management - how much is enough? With limited resources, federal agencies are focused on administering internal control programs that are efficient and effective, avoiding duplication and minimizing the burden on staff. With several new requirements issued within the last several around strengthening internal controls, risk management and fraud risk assessments; it is even more important to avoid duplication of efforts. Participants will learn how to efficiently and effectively strengthen an internal control and risk management program while complying with the new requirements of OMB A-123, GAO Green Book, GAO Fraud Risk Assessment and ERM. The focus of this workshop will be on efficiently meeting the updated internal control and risk management requirements in an efficient and effective way. Discuss the new requirements and best practices identified within the new Appendix A and learn how to identify and test key non-financial controls through a case study. Hear from Federal risk management experts as well as the programmatic community on how they are integrating the various updates and compliance requirements within OMB Circular A-123 into an integrated risk management program. Working Lunch: What Work Can Be Leveraged? Discuss among your tables key take-aways from the morning sessions. What information did you gather that will assist you in creating an effective integrated risk management program? Debrief from Working Lunch – What work can be leveraged? The Department Treasury will soon release The Government-wide Antifraud Playbook to help agencies develop or enhance their fraud risk management efforts. This session will provide an overview of the key themes in the Playbook. · Class Discussion (Attendees interaction to discuss their implementation observations and challenges). Dr. Doug Webster was sworn in as Chief Financial Officer of the Department of Education on January 9, 2018. Doug served a 21 year career in the US Air Force, including tours flying C-130s and as a systems acquisition and program management officer. In his subsequent career in consulting, Doug has advised over two dozen federal agencies in the areas of cost management, performance management, risk management, and strategic planning. 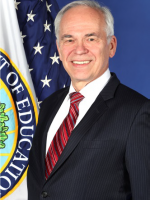 His civilian federal experience over the past 15 years includes time serving with the DoD Coalition Provisional Authority in Iraq, as the CFO of the US Department of Labor, as Deputy Director of the DoD Business Transformation agency, and as Director of Government-to-Government risk management for the US Agency for International Development. Doug is co-author of books on performance management, risk management, and organizational change management. He is also a Certified Government Financial Manager, and Project Management Professional. Ms. Lemaire is the Chief Auditor in the Office of Benefits Administration at the Pension Benefit Guaranty Corporation. Her credentials include the CPA, CGMA, CIA, CGFM and CFE certifications. She has over 20 years of federal audit and compliance experience with emphasis on internal control design and testing to meet the requirements of FMFIA and OMB Circular A-123. She was on the GAO team for the most recent update to the Standards for Internal Control in the Federal Government (Green Book) and has a deep understanding of and experience in applying the Green Book and Generally Accepted Government Auditing Standards. Her experience includes leading a variety of audits, financial and performance, for the GAO, SEC OIG and PBGC and leading an ERM implementation for CA Technologies. She also led IBM’s global treasury operations SOX implementation, coordinating internal control activities and reporting around the globe. She is a voting member on PBGC’s Internal Control Committee and Risk Management Council and participated in establishing the ERM infrastructure for PBGC. Athena S. Elliott, an enrolled member of the Choctaw Nation of Oklahoma, is the director of the Office of Management Services (OMS) effective April 1, 2018. Ms. Elliott served as the OMS director from 2005 to 2015. Ms. Elliott provides senior leadership and advisory services to the IHS Director and senior management staff in the areas of grants, acquisitions, management policy, regulatory affairs, and senior liaison services to the HHS Office of Inspector General and the Government Accountability Office. She ensures that Agency policies for OMS functions are consistent with applicable regulations, directives, and guidance from HHS and other federal oversight agencies. She provides leadership for continuous improvement of management accountability and administrative systems for effective and efficient program support services IHS-wide. Since 2015, Ms. Elliott has served as executive advisor to the IHS director, providing subject matter expertise and advice on administrative and financial issues that support the Agency’s mission and program goals. Ms. Elliott has demonstrated a strong commitment to improving Indian health, including more than 30 years in federal service with the IHS and more than 7 years working in tribal health programs and other Indian business enterprises. Ms. Elliott has held a variety of positions at all service levels, including headquarters, area offices, and tribal positions, supporting work in the California, Albuquerque, Navajo, and Oklahoma City Areas, focusing on improving the efficiency and integrity of financial management systems supporting American Indians and Alaska Natives. She has received numerous awards during her professional career, including the IHS Director’s Award for Excellence, the IHS exemplary award for group performance, the HHS Secretary’s Award for Distinguished Service for her work on the P.L. 93-638 negotiated rulemaking committee, and numerous other awards for superior administrative service throughout her federal career. Ms. Elliott also served on the President’s Task Force for Health Care Reform in 1993. Ms. Elliott holds a Bachelor of Science in business administration/accounting from California State University in Sacramento, California, and a master’s degree in public administration from American University in Washington, D.C.
Mr. Leecost is a Director within Ginnie Mae’s Office of Enterprise Risk. He has a background in Risk Management, financial management, and Financial Audit with a broad knowledge of internal controls, enterprise risk management, federal financial management, financial management systems, operational risk management, federal regulations and processes. Mr. Leecost holds several certifications from New York University (NYU) in Enterprise Risk and Asset Liability Management, Operational Risk Management, Credit Risk Management, Market Risk Management, and he also is a Certified Fraud Examiner (CFE). 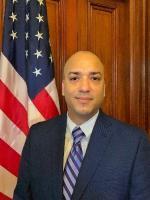 He has over fourteen (15+) years of consulting, and auditing experience with more than thirteen of those years in the public sector and quasi-public arena of financial and risk management working with organizations such as the Ginnie Mae, Department of Veterans Affairs, Department of Homeland Security, Fannie Mae, Federal Housing Finance Agency (FHFA), United States Department of Treasury, and several commercial banks. He holds a Bachelor of Business Administration (BBA) degree in Finance from Howard University and Masters in Accounting from the University of Maryland, College Park, Robert H. Smith School Business. 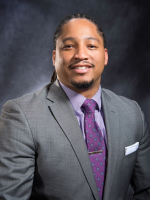 Curtis McNeil is the Enterprise Risk Program Manager for the Architect of the Capitol (AOC). His core responsibilities include implementing the newly established enterprise risk management (ERM) program, executing the existing internal control program and serving as the agency’s liaison for the financial statement audit. Prior to joining the Federal government, Curtis had over 13 years of private sector experience supporting Federal agencies with risk management activities including internal controls, ERM, process improvement and general audit compliance. Curtis has a BA in Computer Science from Gettysburg College and is a Certified Six Sigma Green Belt (CSSGB). Scott is a Senior Policy Analyst in the Office of Management and Budget (OMB), Office of Federal Financial Management. Scott’s is currently the Lead for government-wide fraud and the Do Not Pay (DNP) System. Scott also develops and implements policy focused on reducing and preventing improper payments across the Federal Government. Scott began his career by serving 10 years in the United States Navy as an Intelligence Specialist. Scott later worked for the Department of Homeland Security (DHS) as a Senior Analyst and transitioned at DHS to a Management Analyst and Senior Advisor to the Deputy Undersecretary for Analysis. Scott has previously worked in the Office of Federal Financial Management before working at the Department of Veterans Affairs (VA), Office of Finance, Improper Payments Remediation Office, where he was the Contracting Officer’s Representative (COR) managing contractor support to the improper payment and fraud portfolios. Scott earned a Bachelor of Arts in Intelligence Studies and a Master’s in Homeland Security Policy from American Military University. Scott has additionally studied Business Administration at George Washington University. Mrs. Pankaj is a Director in Grant Thornton Global Public Sector with over fifteen years’ experience in financial management and systems review and implementation in the public and private sector. She is a Certified Governmental Financial Manager (CGFM) and Project Management Professional (PMP). For the past eleven years she has focused on internal controls, risk management, process documentation, and training with an emphasis on OMB Circular A-123, Appendices A, B and C at organizations such as the Department of Transportation (DOT), United Stated Department of Agriculture (USDA), United States Patent and Trade Office (USPTO), National Aeronautics and Space Administration (NASA) and Department of Veterans Affairs (VA). In addition to internal controls, Ms. Pankaj also has experience in COTS system implementations, requirements gathering, business process reengineering, process improvement strategy, and development of policies and procedures. 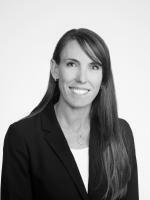 Ms. Lippuner is a Partner with Grant Thornton responsible for leading its Public Sector Risk Advisory Practice. She assists organizations predict, prepare, protect, manage and respond to risk through the development and implementation of holistic and innovative solutions. Ms. Lippuner is a co-author of Managing Public Dollars, presented at numerous conferences as a speaker on financial and risk management, and has contributed to several research papers by the IBM Center for The Business of Government. In addition, she was the Chair of the Corporate Advisory Group for the Association of Federal Enterprise Risk Management and has been a reviewer for the Association of Government Accountants (AGA) Certificate of Excellence in Accountability Reporting (CEAR) Award Program. 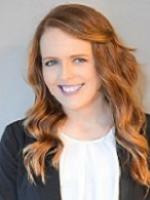 Meaghan Duffy is a Manager in Grant Thornton’s Public Sector. 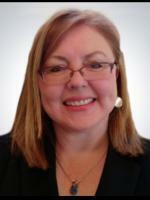 She has over ten years of experience in federal and non-federal financial management services. Meaghan’s primary focus is on internal controls and risk management at organizations such as the Department of Transportation (DOT), United States Department of Agriculture (USDA), and the National Science Foundation (NSF). Ms. Duffy is a Certified Six Sigma Green Belt (CSSGB) and holds a MBA from the University of Dayton and a B.B.A in Finance from James Madison University. Linda Miller is a Director in Grant Thornton’s Public Sector practice. Prior to joining Grant Thornton, Ms. Miller spent 10 years as an Assistant Director with GAO’s Forensic Audits and Investigative Services team where she led work examining a variety of homeland security issues, such as transportation and border security, as well as fraud in programs across the federal government. Ms. Miller was the principle author of GAO’s recently issued Framework for Managing Fraud Risks in Federal Programs, which describes leading practices that agency managers can use to develop a strategic, risk-based approach to assessing and mitigating fraud in their programs. Ms. Miller holds a Master’s degree in Public Policy from The George Washington University and is a former Olympic athlete in the sport of rowing. Mr. Scornaienchi is a Director in Grant Thornton's Global Public Sector. He has over 37 years of combined experience in the financial services industry and the federal government. He is skilled in financial management, internal control development and assessment, improper payment assessment, project management, and enterprise risk management (ERM). Mr. Scornaienchi leads Grant Thornton’s improper payment practice and frequently conducts training for the Potomac Forum and the National Defense University. Mr. Scornaienchi is currently supporting the Centers for Medicare & Medicaid Services (CMS) as the Project Manager for the OMB A-123, Appendix A Project. Mr. Scornaienchi also supports the National Institutes of Health (NIH) and the National Aeronautics and Space Administration (NASA) in the execution of their risk management programs. Additionally, he supports the Department of Veterans Affairs (VA) in the execution of their improper payments program. Gina Oliva has over ten years of experience in financial reporting, OMB Circular A-123 (performing internal control testing from planning to completion of testing and developing narratives and process flows to identify key internal controls), gathering and documenting high-level requirements, management and business operations support, acquisition, financial management, budget execution, enterprise risk management, and internal audit. Gina’s primary focus is on internal controls and risk management at organizations such as the Department of Veteran Affairs (VA), specifically Veterans Benefit Administration’s (VBA) programs. Gina is a Project Management Professional (PMP). Gina holds a B.S. in Finance - Pennsylvania State University and MBA in Management – University of Maryland, Robert H. Smith School Business. Jeff is a Managing Director in the Public Sector practice of Grant Thornton’s Alexandria office and has been with the firm since June 2006. Jeff has over 23 years’ experience managing large, complex data management, information technology, and business transformation consulting practices. He has full lifecycle experience delivering enterprise-class data management solutions, including data warehouse, business intelligence, data quality, data architecture, data conversion and integration, metadata management, and analytics. Jeff has served clients across government, including the Department of Homeland Security, Veterans Affairs, Defense, Transportation, Treasury, Housing and Urban Development, and Interior.